Camps have been and continue to be a formative aspect of the adolescent experience. In Maine alone, there are more than 100 summer camps, according to mainecamps.org. Due to it’s 3,000 lakes, 3,500 miles of coastline, 32,000 rivers and streams, and 17 million acres of forest (more than any other state), what camp wouldn’t want to set up shop in Maine? What young child wouldn’t want to attend? For some young Mainers and out-of-staters, however, attending a conventional “all-boys” summer camp or “all-girls” camp isn’t just a question of cost, but a question of safety, acceptance and health. Most transgender and gender-nonconforming children and teens say they have been harassed, according to a national 2011 survey. Thirty-five percent of the study participants reported physical assault; and 12 percent reported sexual violence. The same survey also showed that 15 percent of all transgender and gender-nonconforming participants had to leave a school due to severe harassment and that 41 percent had attempted to kill themselves. In response to these numbers, and with some life experience of his own, Nick Teich, the founder and CEO of the nonprofit Harbor Camps, which has summer camps in New Hampshire and California, is creating a safe environment for children and teenagers who may often feel marginalized. One of the camps, called Aranu’tiq — which is an indigenous Alaskan word for a person who was thought to embody both the male and female spirits — is a camp for transgender and gender-nonconforming children, where discussions about sports, schools and crushes coalesce with topics like “coming out,” transitioning, hormonal blockers and bullying. Gender-nonconforming refers to those who do not follow others’ expectations of gender expression. Teich, a transgender male, fell in love with camping as a young child when he attended a summer camp in Maine. For 13 years, he filled a variety of positions: from camper, to counselor, to a part of the leadership team. When he announced he was transitioning to a man, however, Nick realized that openly transgender and gender-nonconforming children were potentially missing out an experience that had changed his life. Maine’s Nicole Maines was one of the first campers to attend Camp Aranu’tiq after it opened in 2009. Camp Lightbulb — nestled in Provincetown, Massachusetts — is the only camp exclusively for LGBT teenagers that’s been built and run in a gay-orientated community. Founded and directed by 43-year-old Puck Markham, a gay man himself, it’s the only camp of it’s kind in Massachusetts, Markham told the Boston Globe in 2013. “I’d read about the high rates of depression and suicide among gay youth and I thought, ‘I should do something, and how cool would it be to have a camp in Provincetown?’” Markham said. Entering it’s fourth summer this year, Camp Lightbulb has grown from a one-week session to a four-week session that welcomes campers from around the country. Elain Mosgofian of Natick, Massachusetts, a mother to an LGBT youth, said her son felt at home at the camp. 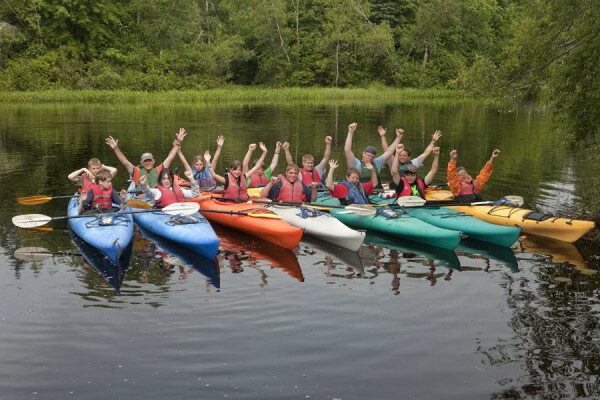 Located in Casco, Maine, Camp Sunshine has been a place of hope, joy and healing for children with life-threatening diseases since its inception in 1984. Founded by Dr. Larry Gould, the idea for the camp was planted by a commercial about a camp attended by children with cancer that Gould had seen just after retiring from his job as CEO of M/A-COM in 1983. After talking to his wife, Anna, about his idea, and the chief of pediatric oncology at the Dana-Farber Institute in Boston, the Goulds decided to offer a pilot course for 43 children with cancer and their families at the resort they owned on Point Sebago in 1984. What had started out as two, two-week sessions is now a year-round program that offers more than 25 sessions annually, serving as many as 750 families per year. Since 1984, Camp Sunshine has served more than 43,500 family members from 48 states and from 23 different countries. Today, Camp Sunshine has provided a place for families whose children have been diagnosed with diseases such as cancer, hematologic conditions, renal diseases, systemic lupus, erythematosus, and for children who have undergone organ transplants. There is also bereavement programming — which began in 2002 — for those parents who have lost a child due to an illness.